Restoration Project . Offers of £3500 - Proceeds to "Sail 4 Cancer". A very unusual and striking Boat to be seen in the UK, more likely in the waters of Oman. The current owner had her shipped over to the UK in 2002 and over a 10 year period was restored and launched in 2012. She has been in storage since then and is now in need of further restoration. She would make a very interesting commercial project, possibly a character day tripper of ferry boat of some kind, or part of a maritime historic collection. She could be converted to include a sympathetic pilot house which would give her greater flexibility. She benefits from a 70hp Yanmar Engine that runs well. 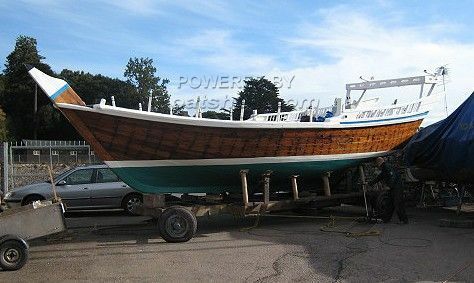 This 40' Dhow Shewi has been personally photographed and viewed by Phil Key of Boatshed Torquay. Click here for contact details.